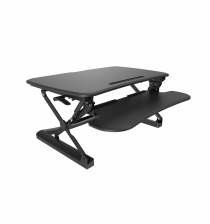 A Sit Stand Workstation is portable, easy to assemble and can be placed on your existing desk. 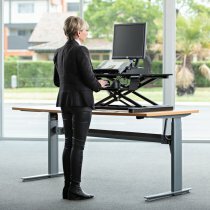 Do you need a portable standing desk? Want a more active lifestyle? 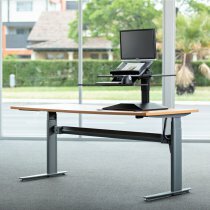 Well, these Sit Stand Workstations will suit your style and budget. 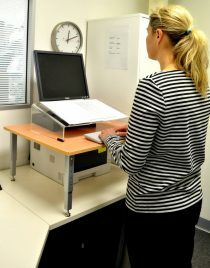 A Sit Stand Workstation is a versatile height adjustable module that is portable and can be placed on your existing desk. 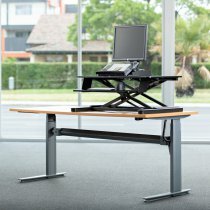 The Sit Stand Workstation suits any desktop, thanks to its straight up and down design with virtually no pinch points. 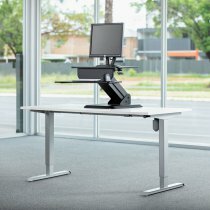 There are a wide range of options, the adjustable sit stand modules will suit your needs and lifestyle. 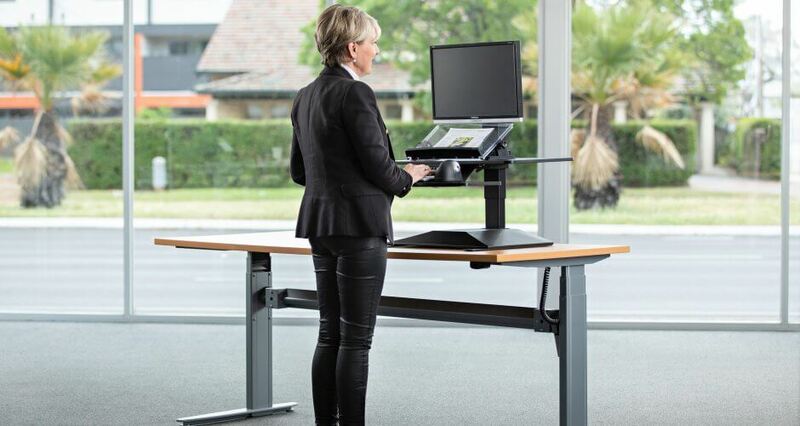 By using a Sit Stand Workstation and regularly varying your workstation position it will reduce back pain, decreases musculoskeletal, circulatory problems and keeps you more active!